In California, a DUI charge is not only for those that have been found to be driving under the influence of alcohol. If police believe that your driving is impaired by drugs such as marijuana, cocaine, and even legally prescribed prescription medicine, you could be arrested. The penalties that one can face for driving under the influence of drugs can be extremely severe. DUI with drugs cases are not always as black and white as DUI with alcohol cases. In California, there is no determined level of a narcotic detectable in your body that ultimately indicates impairment under law. As in many drunk-driving cases, the chemical tests used can be extremely unreliable and at times false. It is critical that you retain the services of an experienced local attorney that can review every aspect of your case and defend you from these charges. If you are pulled over for driving under the influence of drugs, you may have to take a urine or blood test. Some argue that urine testing is not valid for drug detection due to the fact that different drugs take a different amount of time to be eliminated from the body and may not necessarily indicate impairment at the time of the arrest. Some drug tests have been proven to be affected by other substances such as cough medicine that can give a false positive for illegal drugs. If the court believes that you were unable to operate a vehicle with the same amount of caution as a sober person, you can be charged. A skilled attorney can help provide the court with the information they need to come to the conclusion that you were not impaired while driving under these standards. There can be many reasons why an individual may fail field sobriety tests other than drug intoxication. Because there is no legal limit in DUI with drugs cases, the attorney that you choose to defend your case will determine to a large degree the outcome. Our knowledgeable team at The Law Offices of Top Criminal Defense Law Firms, APLC can review your case and tell you where you stand. 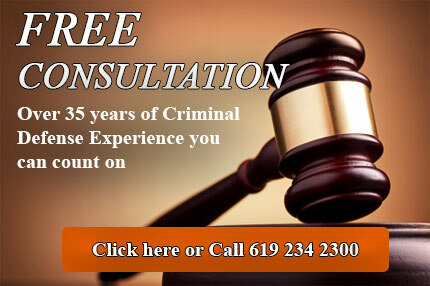 You don’t have to accept the serious charges brought against you; hire a seasoned attorney that can fight for you. Contact us today to learn about your legal options and to find out how we can aggressively challenge your DUI charges!